Giving the middle finger is protected speech under the First Amendment, a federal appeals court ruled. In June 2017, Debra Cruise-Gulyas was pulled over by Taylor Police Officer Matthew Minard for speeding. Minard gave her a ticket for a non-moving violation, a lenient offense. But as Cruise-Gulyas drove away, she raised her middle finger at Minard. The officer pulled her over again, escalating her initial ticket to a more serious violation. 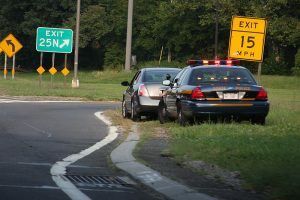 Cruise-Gulyas sued, claiming that Minard violated her constitutional rights under the First and Fourth Amendment when he pulled her over a second time and issued her a new ticket. The two separate stops were an important distinction to the court, who noted that the traffic infraction ended when the first stop concluded, leaving Cruise-Gulyas’s gesture as the potential—and unjustified—cause for the second stop. “Any reasonable officer would know that a citizen who raises her middle finger engages in speech protected by the First Amendment,” the court wrote.